Known For: Coined the term "scaffolding"
Known For: Studied chess players to determine the differences in knowledge between novice chess players and master chess players. Known For: The forgetting curve. The spacing effect. Known For: Articulator of a theory of human motivation based on a synthesis of holistic and dynamic principles. Known For: TIC-CIT authoring system (1970s)l, Component Display Theory (CDT)(1980s), ID based on knowledge objects, First Principles of Instruction (2002) , Pebble-in-the-Pond Model (2002). Known For: The SOAR Cognitive Architecture, means-ends analysis, list processing, heuristics, General Problem Solver (GPS) developed with Herbert Simon. 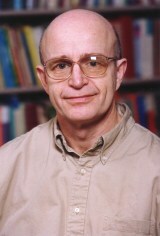 Known For: Contributions to Cognitive Load theory. Known For: Simon was among the founding fathers of several of today's important scientific domains, including artificial intelligence, information processing, decision-making, problem-solving, organization theory, complex systems, computer simulation of scientific discovery. He coined the terms bounded rationality and satisficing. Known For: Stimulus-Response theories, Instrumental Conditioning (pre-cursor to Operant Conditioning), Cat in the box experiments. Known For: The art of memory.